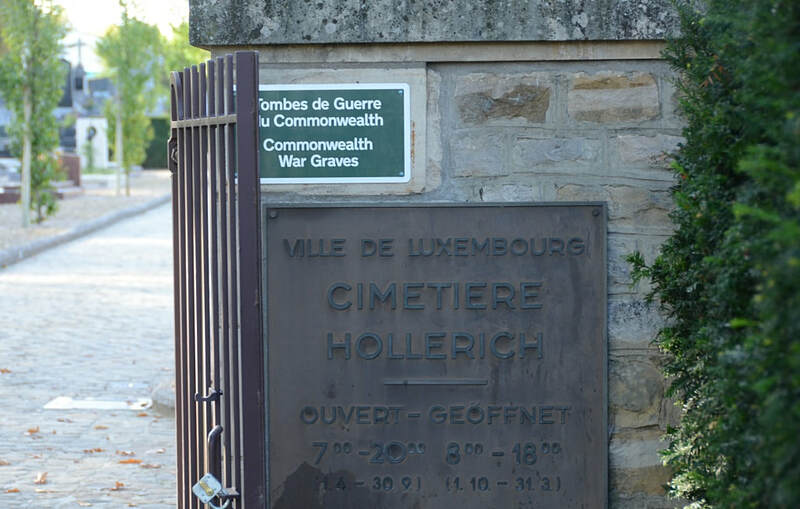 Hollerich is about 2 kilometres west of Luxembourg station, on the road to Bettembourg. 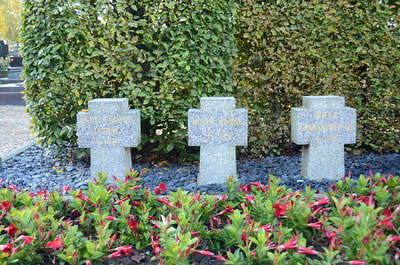 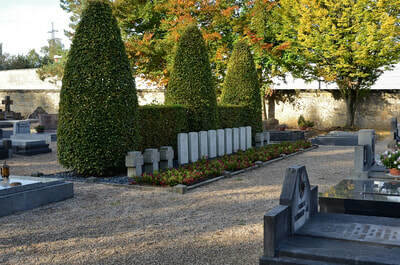 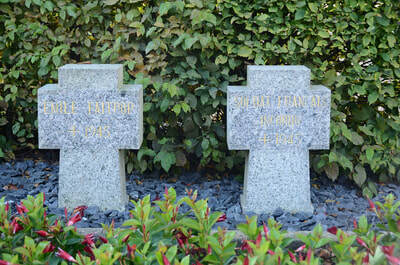 The cemetery is about 450 metres north-west of Hollerich church, on Rue de Bouillon, opposite a large road junction. 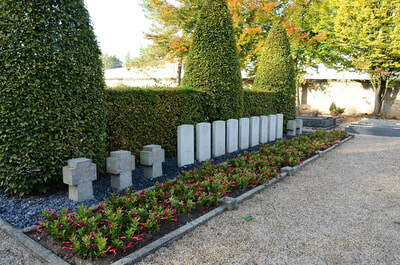 The Commonwealth war graves are located in the north-west part of the cemetery. 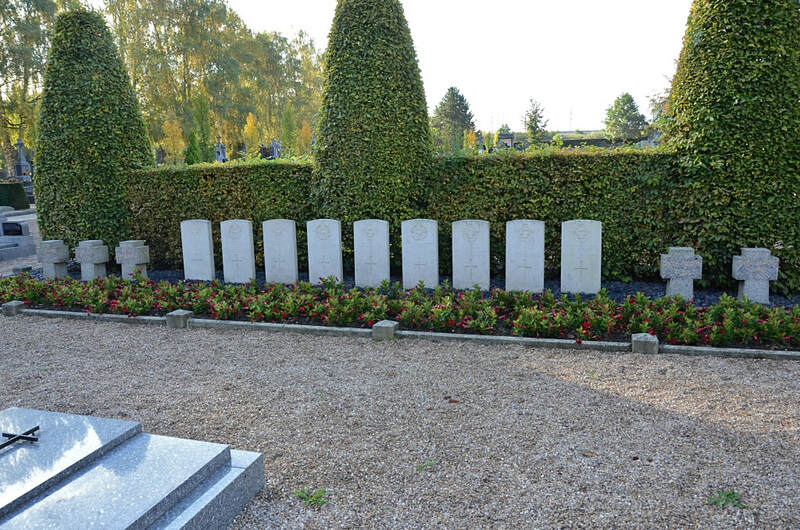 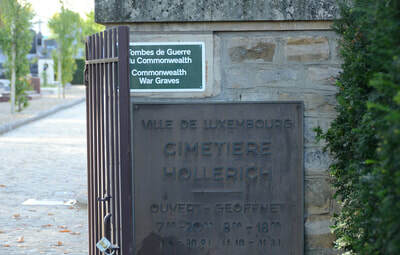 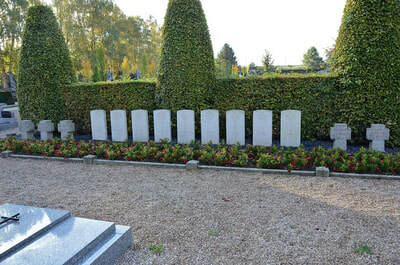 GPS Co-ordinates: Longitude 06°06'47", Latutude 49°35'57"
Luxembourg (Hollerich) Communal Cemetery contains the graves of nine airmen of the Second World War. 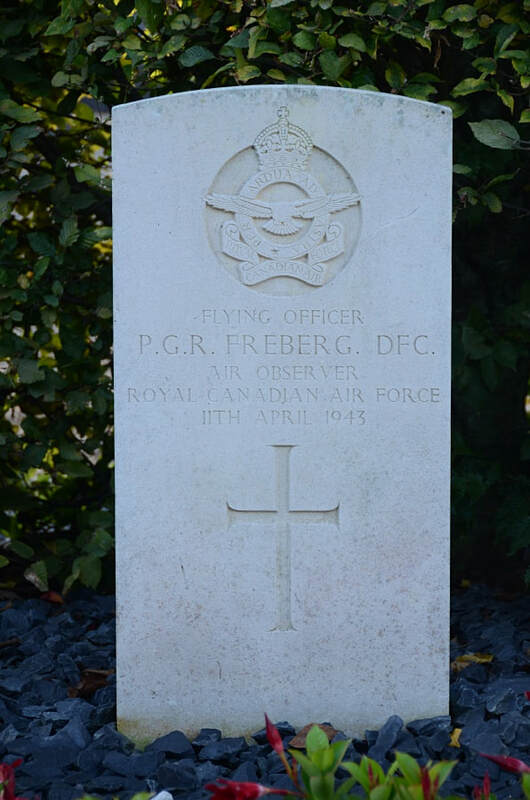 Philip Gustave R. Freberg, D. F. C.
J/92604 Pilot Officer Eric Alexander Allen, 7 Squadron, Royal Canadian Air Force, died 11th April 1943, aged 22. 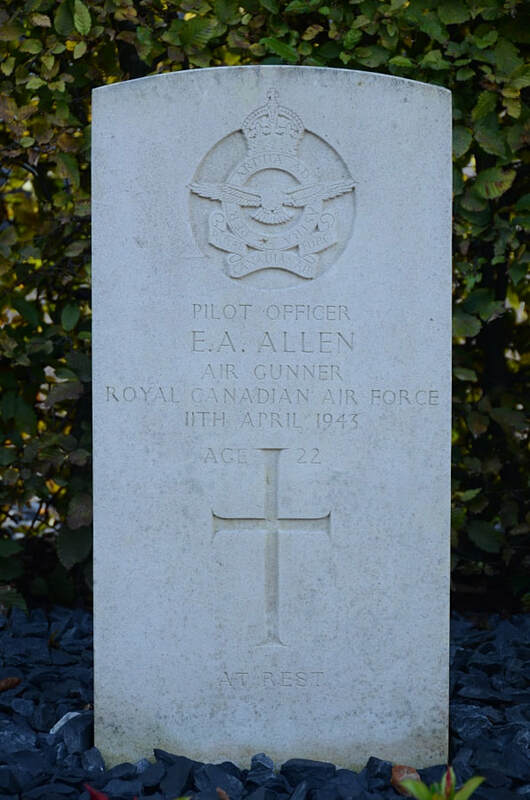 Son of William and Emily Allen, of Vancouver, British Columbia, Canada. 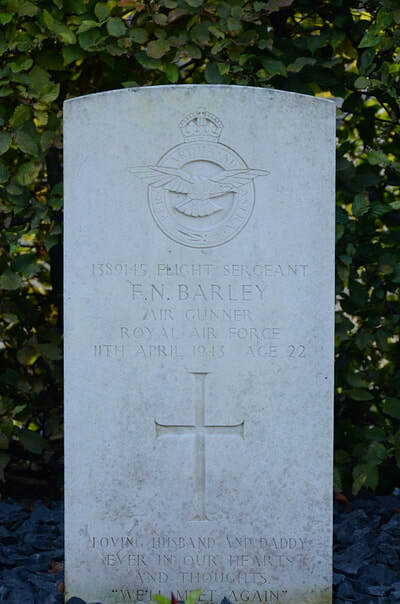 1389145 Flight Sergeant Frederick Norman Barley, Air Gunner in 7 Squadron, Royal Air Force Volunteer Reserve, died 11th April 1943, aged 22. Son of Charles and Frances Barley; husband of Dorothy Edith Barley, of Forest Hill, London. 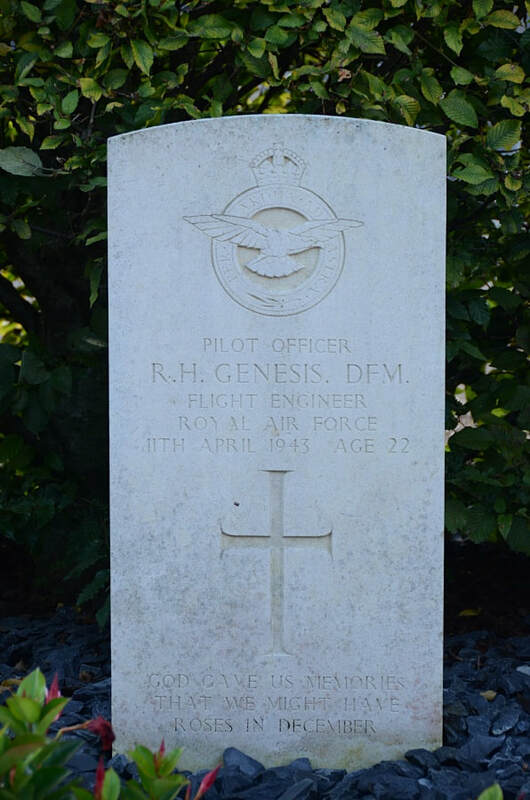 51687 Pilot Officer Robert Harry Genesis, D. F. M. Flight Engineer in 7 Squadron, Royal Air Force, died 11th April 1943, aged 22. 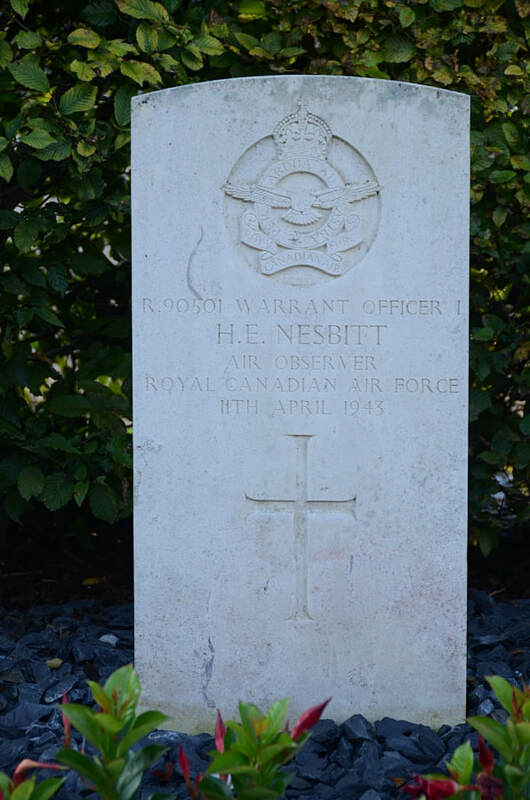 Son of Henry James Genesis and Lilian Genesis, of Netteswell, Essex. 39199 Flight Lieutenant Brian Rutter Kerridge, Pilot in 226 Squadron, Royal Air Force, died 15th May 1940, aged 27. 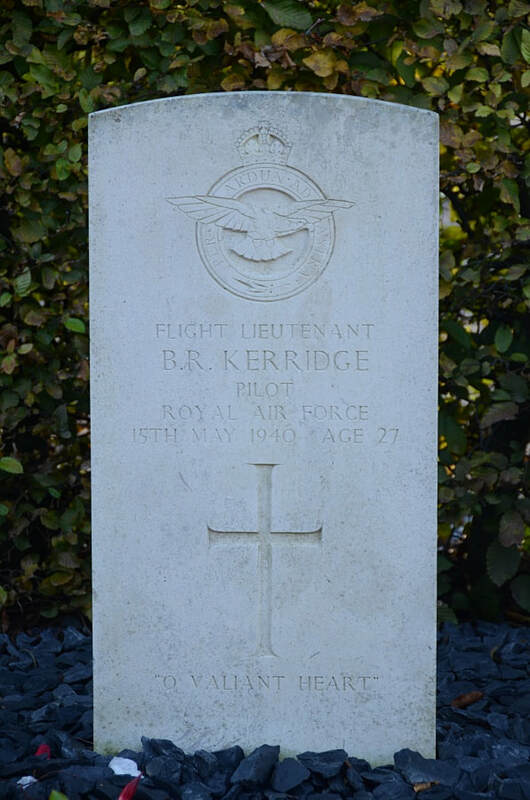 Son of Harry and Emily Kerridge, of Burgess Hill, Sussex. 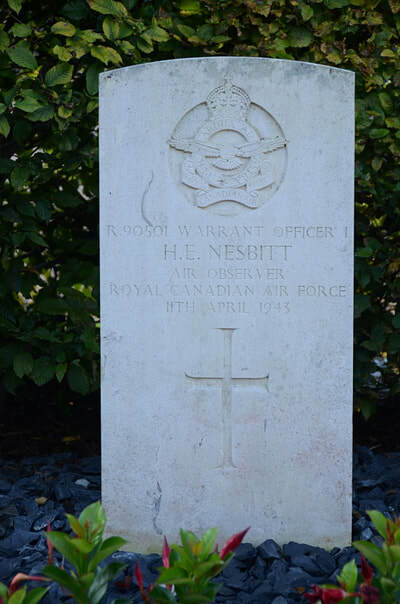 R/90501 Warrant Officer Harold Earle Nesbitt, Air Observer in 7 Squadron, Royal Canadian Air Force, died 11th April 1943. 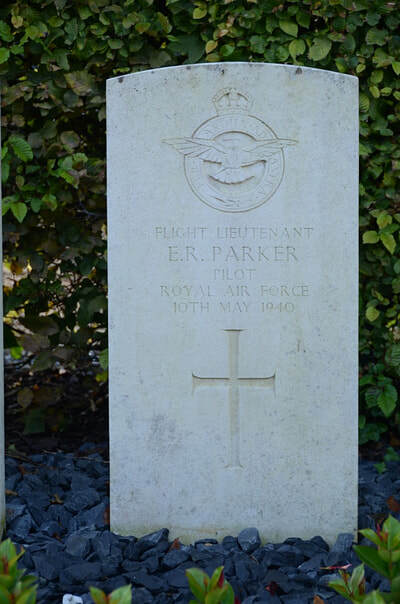 39111 Flight Lieutenant Eric Parker, Pilot in 150 Squadron, Royal Air Force, died 10th May 1940. 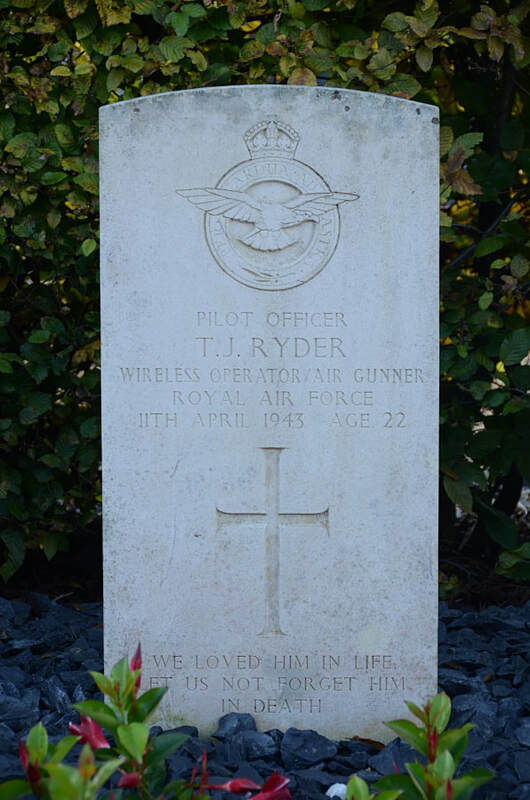 143402 Pilot Officer Thomas Joseph Ryder, Wireless Operator/Air Gunner in 7 squadron, Royal Air Force, died 11th April 1943, aged 22. 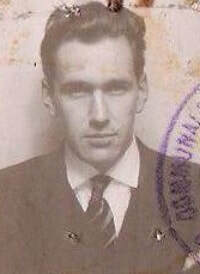 Son of Joseph L. and Dorothy May Ryder, of Tooting, Surrey; husband of Norah Veronica Ryder, of Tooting. 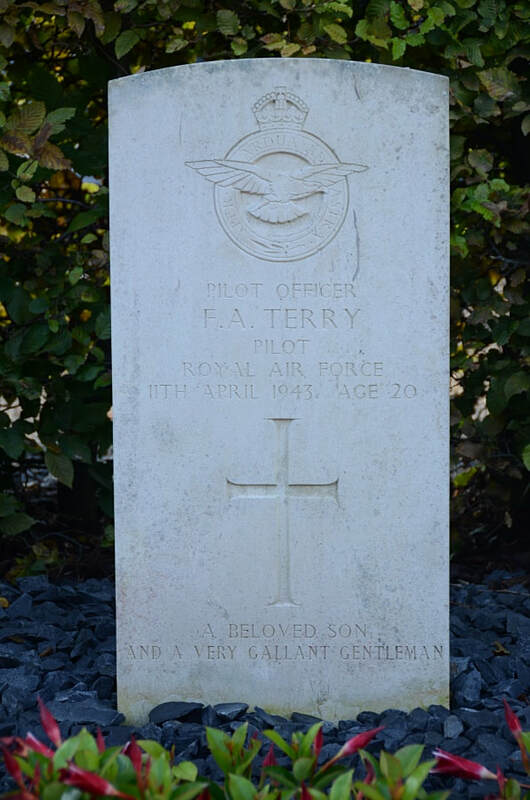 139509 Pilot Officer Frank Arthur Terry, Pilot in 7 Squadron, Royal Air Force Volunteer Reserve, died 11th April 1943, aged 20. Son of Arthur Benjamin and Isabel Francis Terry, of Strood, Kent.